Bienvenue sur mon blog conacré au spectacle musical de Andrew Lloydd Webber: "The Phantom of the Opera"
Welcome to my Blog based on Andrew Lloydd Webber's musical "The Phantom of the Opera"
Welcome on the first "official" Skyblog based on Andrew Lloydd Webber's Musical "the Phantom of the Opera". On this website, you will find videos, informations and of course photos of the show with the differents performers. The articles will be translated in english for reading easily. This is the only skyblog were you 'll can learn the "phrench" langage^^. Enjoy ! It is possible that some videos are desactivate here, sorry. Dans ce blog vous y trouverez également des dessins que j'ai fait. Si vous avez des questions au sujet de mes mes dessins ou du blog en général, n'hésiter surtout pas à poser des questions. 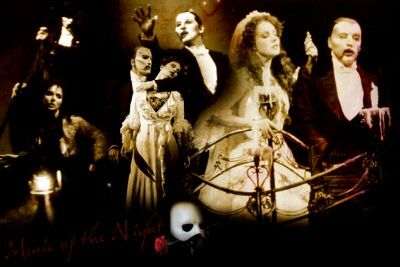 The Phantom of the Opera is a musical by Andrew Lloyd Webber, based on the book written by the French novelist Gaston Leroux. 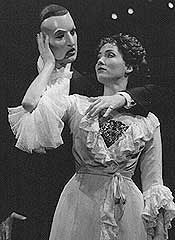 The music was composed by Andrew Lloyd Webber, with lyrics by Charles Hart and additional lyrics by Richard Stilgoe directed by Hal Prince, choreographed by Gillian Lynne, lighting by Andrew Bridge and designed by Maria Bjornson. 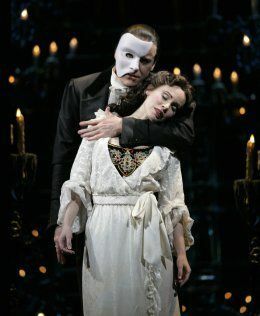 The musical focuses on a beautiful soprano, Christine Daaé, who becomes the obsession of a mysterious, disfigured musical genius known as "The Phantom of the Opera", who terrorizes the Paris Opera House. It opened on the West End in 1986 and in 2008 surpassed its 9,000th performance there. It is the second longest-running West End musical in history and the longest-running Broadway musical. It was made into a film in 2004 and, according to its official website, it is the most successful entertainment project in history, grossing more than £1.8bn ($3.2bn) by 2007. 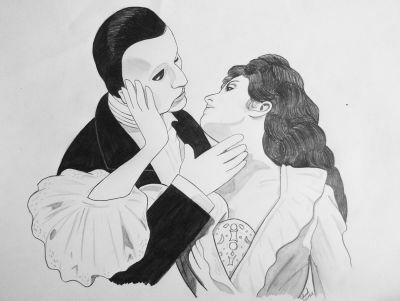 Inspired by an earlier musical version of the same story by Ken Hill, The Phantom of the Opera opened at Her Majesty's Theatre in London on 9 October 1986, starring Michael Crawford as the titular character, Sarah Brightman as Christine, and Steve Barton as Raoul. Phantom is now the second-longest-running West End musical in history, behind Les Miserables and celebrated its 9,000th performance there on 31 May 2008. The musical opened on Broadway, at the Majestic Theatre, on 26 January 1988 and is the longest-running Broadway musical of all time,breaking the record held by Lloyd Webber's Cats on January 9, 2006, with its 7,486th Broadway performance.Crawford, Brightman and Barton moved to the New York production, and Judy Kaye played Carlotta. Despite early negative reviews, including a pan by Frank Rich of the New York Times, the musical won both the Olivier Award and Tony Award as the best musical in its debut years on the West End and Broadway. Both the London and New York productions are still running as of 2008. According to the musical's website, it has been seen in 124 cities in 25 countries and played to over 100 million people. With total worldwide box office takings of over £1.8bn ($3.2bn), Phantom is the highest-grossing entertainment event of all time.The New York production alone has grossed US $600 million, making it the most financially successful Broadway show in history. 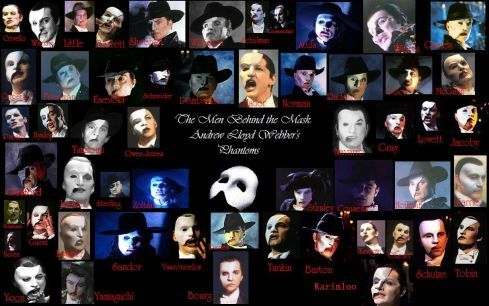 In a sign of its continuing popularity, Phantom ranked second in a 2006 BBC Radio 2 listener poll of the "Nation's Number One Essential Musicals". Lloyd Webber approached Jim Steinman to write the lyrics because of his "dark obsessive side", but the writer/producer declined in order to fulfil his commitments on a Bonnie Tyler album. The pair did eventually collaborate on Lloyd Webber's musical adaptation of Whistle Down the Wind. Alan Jay Lerner was then recruited, but died soon after beginning the project, and none of his contributions remained in the show. Richard Stilgoe, who also wrote the lyrics for Andrew Lloyd Webber's Starlight Express, then wrote lyrics for the production. However, the composer felt that Stilgoe's lyrics were too witty and clever, rather than romantic. Charles Hart was invited to rewrite the lyrics. Some of Stilgoe's original contributions are still present in the final version. 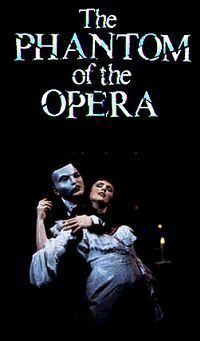 The phantom of the opera, with 22 years of existence is the longuest running on west-end and Broadway show. This is an international record ! 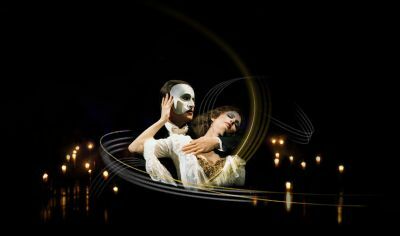 ...and at the same time, "The Most Haunting Love Story"
Who is you favourite Stage Phantom ? Qui est votre (vos) Fantome(s) préférré(s) ? Et votre (vos) Christine(s) ? Who is your favourite stage Phantom(s) ? 2. Why so silent ? What is your favourite Song ? Quelle est votre (vos) chanson(s) préférré dans le fantome de l'opéra ? What is your favourite song from "Phantom..." ?